ROBBED: Pensioner Carl Ramrattan at his San Pedro Branch Trace, Rio Claro home. POLICE are reviewing CCTV video footage of a home invasion in which a 71-year-old man was robbed after he opened his door for a woman who asked to use his toilet last week. The footage was made available to the police by home owners in the village. The footage shows images of the woman and a man entering a green Nissan Laurel car after robbing pensioner Carl Ramrattan at his San Pedro Branch Trace, Rio Claro home. Police told Newsday the cameras were strategically positioned and the bandits may not have spotted them in the village which is surrounded by bushes. The woman took $1,800 from Ramrattan. The money was part of his pension grant and was kept near a television in the living room. At the time of the robbery, Ramrattan told police he was in his kitchen washing wares on Saturday when, at about 4 pm, he heard a woman calling for help. He looked through a window and saw the woman, who he did not know, squirming in discomfort. Ramrattan said on seeing the woman begging for help he decided to assist her. He directed the woman to his toilet. He said seconds after the woman walked towards the bathroom, a man came out of the car and walked to the gallery where he was. Ramrattan said the man then asked him if he was home alone. The pensioner said he said he told the man yes, but still was unaware he was about to be robbed. The man then left Ramrattan’s side indicating he was going to the car to get something. He returned with a cutlass and held his against the pensioner’s neck. The man threatened to kill Ramrattan if he moved. At this time the woman was searching the rooms of the pensioner’s house. When she found the part of the Ramrattan’s pension money, she left the house. 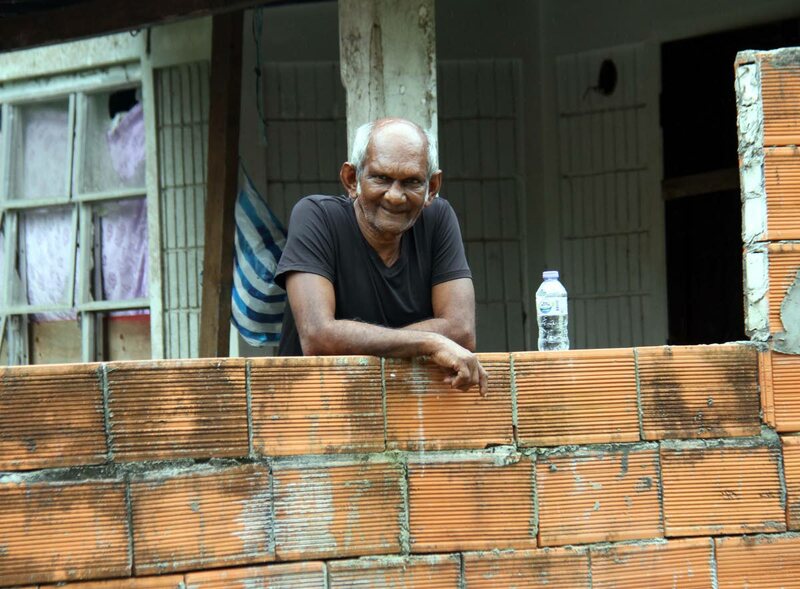 Ramrattan said when the woman found his pension money, she came outside counting it. “She then looked at the man and said, ‘Let’s go now’.” They then ran towards their car, he said. Yesterday relatives told Newsday Ramrattan was still traumatised by the ordeal. “Something like this has never happened to him before since his years of living in this village. He is now afraid to stay at home alone now. And he used to be a brave man,” said a relative. Rio Claro police are investigating. Reply to "Police review video footage"